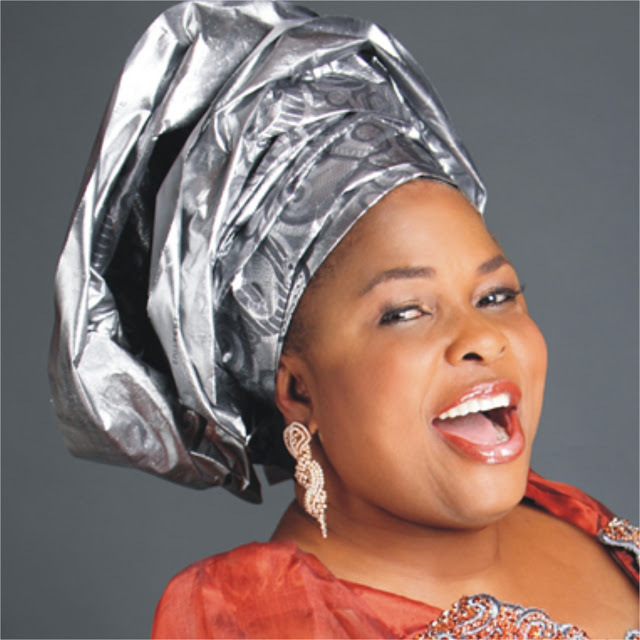 Dame Patience Jonathan, Nigeria's former first lady and wife of former President Goodluck Jonathan, Thursday, asked the Federal High Court in Abuja to vacate the interim forfeiture order it granted to the Economic and Financial Crimes Commission, EFCC, on May 30, to freeze her 16 separate bank accounts containing aggregate sums of $5.8million and N3.5billion. Mrs Jonathan, through her team of lawyers led by Chief I.A. Adedipe, SAN, and Chief Mike Ozekhome, SAN, maintained that the court order had elapsed and could not be extended by the EFCC . She told the court that the anti-graft agency obtained the forfeiture order by an improper use of the judicial process. The 16 frozen bank accounts belong to 10 different organizations that were allegedly linked to Mrs. Jonathan. Other companies cited as co-applicants in the motion the ex-first lady filed to challenge the action of the EFCC, are, Incorporated Trustees of Ariwabai Aruera Reachout Foundation, Pagmat Oil and Gas Nigeria Limited, Flinchley Top Homes Limited, Incorporated Trustees of Women for Change and Development Initiative Nigeria, Transocean Property and Investment Ltd, Seagate Property Development Investment Company, Globus Integrated Services and Pluto Property and Investment Company Limited. Dame Jonathan and the 10 firms told the court that the said interim forfeiture order, including a subsequent one that was issued on October 18, has become spent. In a six –paragraph affidavit deposed to by one Chinedu Maduba, Mrs. Jonathan and the firms admitted their ownership of the 16 bank accounts. The applicants told the court that EFCC had before May 30 when it secured the forfeiture order, also filed a similar application that affected most of the parties, before Justice C.M.A. Olatoregun of the Federal High Court sitting in Lagos in suit number FHC/L/CS/1342/2016 with same granted on October 10. They alleged that EFCC suppressed the fact that it had earlier approached the Lagos Division of court for the same relief it applied for and secured from the court in Abuja. Mrs Jonathan said though she was not served a copy of the order that froze her accounts, she said she only became aware of the existence of the forfeiture order from the court in Abuja few days ago during the hearing of a petition she sent to the National Assembly and after some of her co-applicants tried to operate their accounts to no avail. She argued that the interim forfeiture order had a life span of 90 days commencing from May 30, insisting that the order had long elapsed without any renewal or extension of its lifespan. “That by reason of these orders, the Applicants have been unable to operate their accounts as the banks who are in custody of their accounts have refused to honour any of the applicants’ instructions ostensibly because of the order of this honourable court”, the affidavit added. While five of the frozen accounts are domiciled in Skye Bank Plc with seven of them in Diamond Bank Plc, the remaining accounts are with Union Bank Plc, First Bank Plc, Ecobank and Zenith Bank Plc. But , in a swift reaction, EFCC, on Thursday, also approached the court for an extension of the forfeiture order against funds in the 16 bank accounts. EFCC lawyer, Mr. Richard Dauda also applied for the extension application to be heard first before the application by Mrs. Jonathan and the firms. Justice Binta Nyako has fixed November 23 to hear the two applications.